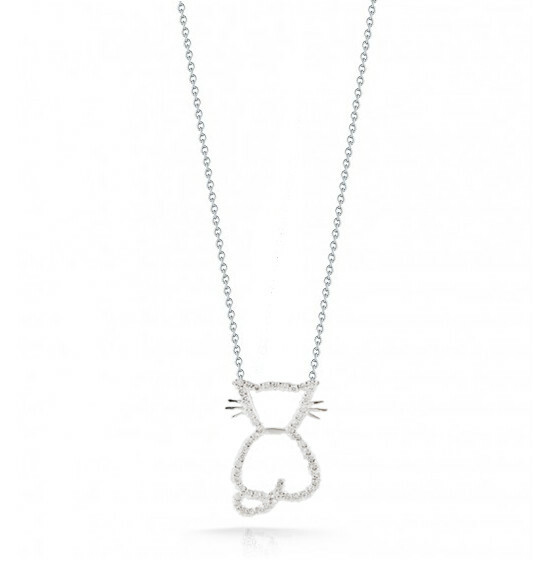 Cat lovers everywhere will meow with pleasure over this adorable kitty pendant necklace from Roberto Coin's Tiny Treasures collection. Fashioned in 18kt white gold, this sassy cat lets you know just how finicky she is by giving you her backside, which is adorned in riveting white diamonds. The pendant hangs playfully from an 18kt gold white chain and is adjustable in length from 16" to 18". 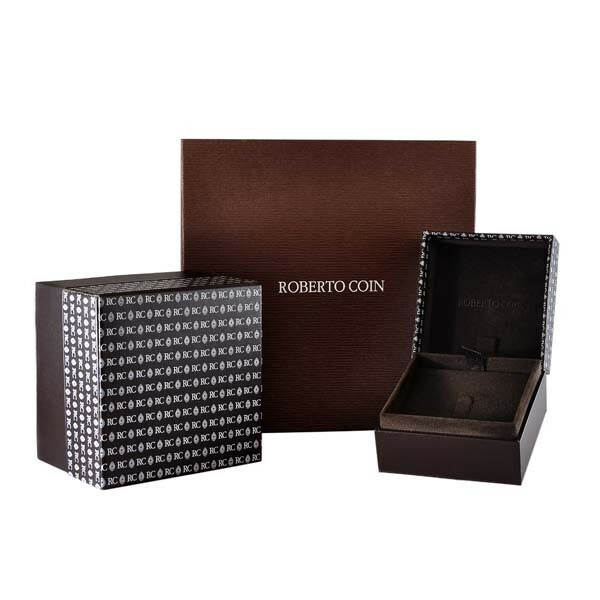 Share your feisty nature with this lovely necklace from Roberto Coin!